While pouring over our notes and photos from KBIS (the Kitchen and Bath Industry Show), we found that the most noteworthy products encourage a very personal approach to design. We organized our favorite ideas into four groups with elements that have a tendency to migrate and blend to create the perfect balance. Everyone is accustomed to accent color statements, but the latest products expand finish options and fully encourage an integrated color palette. Cobalt blue and emerald green are making inroads into formerly neutral territory with stunning results. True leads the way with an introduction of residential appliances called Build Your True. Not only did we see dramatic color, but even black and white were developed with rich matte effect. These along with stunning new combinations on hardware include metallic finishes (a trend we predicted last year) to help us build specialized statements in kitchen and bath design. In addition to tried-and-true surfaces like quartz and granite, the buzz is building for materials with unique character. Walls and countertops will mimic nature or take us beyond expectations with exaggerated pattern and texture. Craftsmanship is always about attention to detail and this year standout products emphasize artistic composition along with innovative materials. Ingenuity and creative solutions appear with products that shift and take on new shapes to meet our needs. The most delightful ideas convert in appearance for functional and versatile looks, much like the popular Transformer toys. There is no doubt that the latest kitchen and bath products open the way to inspired design! The Best of Houzz winners for 2019 have been named and we are so excited to once again receive this distinctive honor in two categories! The Best of Houzz Design is a special badge presented to professionals whose images have been the most popular in 2018. And we especially value the Best of Houzz Customer Service award that is based on our client reviews and overall professional rating. 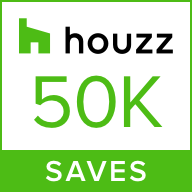 Geneva Cabinet Company was chosen by the more than 40 million monthly unique users that comprise the Houzz community from among more than 2.1 million active home building, remodeling and design industry professionals. These award badges will appear on our profile along with our awards from past years. This welcoming kitchen became our most popular photo on Houzz in the past year! To see the entire kitchen along with the lovely bath areas of this home click here or visit our Houzz profile. Houzz is the leading platform for home remodeling and design, providing people with everything they need to improve their homes from start to finish. Join us there for inspiration and advice about your upcoming home cabinetry improvements. While you’re there, be sure to save your favorites from all of our projects to your personal Ideabooks. It is the best way to create easy reference files to remember all of your favorite looks. Our designers are ready to help with your cabinetry and home improvements for every room of you home. Best of Design & Best of Service Awarded to Geneva Cabinet Company by Houzz in 2018! We are delighted and honored to receive the Best of Houzz 2018 award in 2 categories! Best Of Design & Best Of Service! 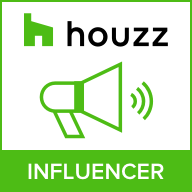 An enormous Thank You to all who supported our work and especially to our clients who took the time to share a review with the Houzz community! Houzz® is the leading platform for home remodeling and design across the country and beyond. Geneva Cabinet Company, LLC was chosen by the more than 40 million monthly unique users that comprise the Houzz community from among more than one million active home building, remodeling and design industry professionals. 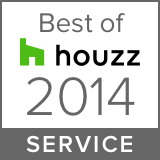 Geneva Cabinet Company, LLC has been awarded the Best of Houzz Service every year since we first appeared in Houzz in 2015. It is based on several factors, including the number and quality of client reviews received each year. The coveted Best Of Design award is presented for work that has been most popular among the more than 40 million monthly users on Houzz. We are so honored and delighted that our work caught the attention of so many viewers! We invite you to join in the fun on Houzz and continue to save your favorite Geneva Cabinet Company, LLC projects to your own ideabooks! & be inspired for tomorrow! https://genevacabinet.com/wp-content/uploads/2018/01/GCC-feature-Best-of-Awards.jpg 800 800 Geneva Cabinet Company /wp-content/uploads/2017/05/geneva-cabinets.png Geneva Cabinet Company2018-01-21 19:02:512018-02-01 11:38:50Best of Design & Best of Service Awarded to Geneva Cabinet Company by Houzz in 2018! Meet our new showroom manager! Congratulations to Joyce Zuelke, ckd on her promotion to Showroom Manager. The clients of our cabinet company in Lake Geneva, WI have always appreciated Joyce’s remarkable kitchen and bathroom cabinet design. Now her vast knowledge and experience will be a great asset to all of us as she serves in her new position as showroom manager. Medallion Cabinetry features refined craftsmanship and details unique to each of their product lines: Platinum, Gold and Silverline.